– First woman and African-American Masters graduate from the University of Hawaii. – Developed a leprosy treatment that was still in use until the 1940s. – However, after her death, the president of the university took credit for her treatment. Alice Augusta Ball (July 24, 1892 – December 31, 1916) was an African American chemist who developed an injectable oil extract that was the most effective treatment for leprosy until the 1940s. She was also the first woman and first African American to graduate from the University of Hawaii with a master’s degree. Alice Augusta Ball was born on July 24, 1892 in Seattle, Washington to James Presley and Laura Louise (Howard) Ball. Her family was considered middle class to upper-middle class, as Ball’s father was a newspaper editor, photographer, and a lawyer. Her grandfather, James Ball Sr., was a famous photographer, and was one of the first African Americans in the United States to learn to daguerreotype. James Ball, Sr. moved to Hawaii with his family in 1903, but died one year later which caused the family to move back to Seattle in 1905. After returning to Seattle, Ball attended Seattle High School and received top grades in the sciences. She graduated from Seattle High School in 1910. Following her graduation, Ball was offered many scholarships to attend the University of California Berkeley and the University of Hawaii. She decided to move back to Hawaii to pursue a master’s degree in chemistry. In 1915, she became the first woman and first African American to graduate with a master’s degree from the University of Hawaii. In her postgraduate research career at the University of Hawaii, Ball investigated the chemical makeup and active principle of Piper methysticum (kava) for her master’s thesis. While working on her thesis, Ball was asked by Dr. Harry T. Hollmann, an assistant surgeon at Kalihi Hospital in Hawaii, to help him develop a method to isolate the active chemical compounds in chaulmoogra oil. Chaulmoogra oil had previously been used in the treatment of Hansen’s disease (leprosy) with mixed results. Most patients with Hansen’s disease were hesitant to take the oil over the long term because it tasted bitter and tended to cause an upset stomach. Ball developed a process to isolate the ethyl esters of the fatty acids in the chaulmoogra oil so that they could be injected, but died before she could publish her results. Arthur L. Dean, a chemist and the president of the University of Hawaii, continued her work, published the findings, and began producing large quantities of the injectable chaulmoogra extract. Dean published the findings without giving credit to Ball, and renamed the technique the Dean Method, until Hollmann spoke out about this. In 1918, a Hawaii physician reported in the Journal of the American Medical Association that a total of 78 patients were released from Kalihi Hospital by the board of health examiners after treatment with injections. The isolated ethyl ester remained the preferred treatment for Hansen’s disease until sulfonamide drugs were developed in the 1940s. Alice Augusta Ball died on December 31, 1916, at the age of 24. She had become ill during her research and returned to Seattle for treatment a few months before her death. A 1917 newspaper article from the Pacific Commercial Advertiser suggested that the cause may have been chlorine poisoning that occurred while teaching. However, the cause of her death is unknown as her original death certificate was altered, giving the cause of death as tuberculosis. Although her research career was short, Ball introduced a new treatment of Hansen’s disease which continued to be used until the 1940s. The University of Hawaii did not recognize her work for nearly ninety years. In 2000, the university finally honored Ball by dedicating a plaque to her on the school’s lone chaulmoogra tree behind Bachman Hall. 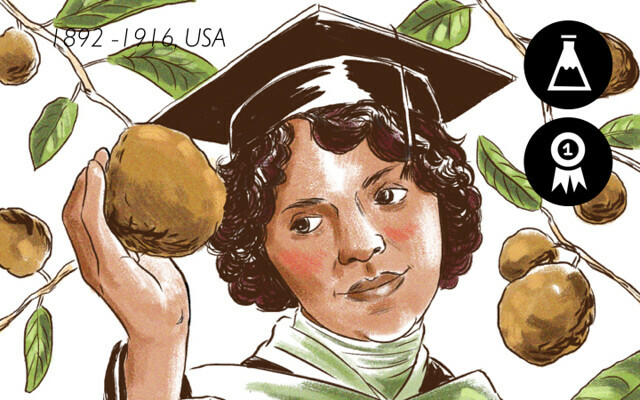 On the same day, the former Lieutenant Governor of Hawaii, Mazie Hirono, declared February 29 “Alice Ball Day” which is now celebrated every four years. More recently, Ball was honored by the University of Hawaii Board of Regents with a Medal of Distinction in 2007. In March 2016, Hawaiʻi Magazine ranked Ball in a list of the most influential women in Hawaiian history.